 Booze, drink/s, ale, beer, liquor (e.g., vodka, whisky, rum), spirits, wine. Beer is usually 5% or less alcohol; wine is 9-12% alcohol; liquor is usually 40% alcohol. Alcohol affects some people more than others, and can affect the same person differently at different times. This depends on body weight, metabolism, tolerance, food in the stomach and other factors. Overdoses – drinking too much too quickly – can cause loss of motor control, blackouts, temporary coma (passing out), vomiting, and in extreme cases, death. Dehydration, dizziness, nausea, and a hangover the next day. Alcohol is highly addictive and tolerance builds quickly. Long term use can damage the liver, brain and other organs resulting in mental and physical problems. Impairs vision and motor coordination. Driving drunk is dangerous to others and yourself, and is illegal. Mixing with GHB, GBL and Ketamine can cause a sudden loss in consciousness and vomiting. G-related overdoses often involve alcohol. It is dangerous to mix with anything else that makes you sleepy including sedative drugs such as opiates (e.g., heroin, morphine, Demerol, Oxy), barbiturates (e.g., Phenobarbital), quaaludes (methaqualone) or valium-like drugs (benzodiazepines). Mixing alcohol with opiates increases the amount of opiates in your system to dangerous levels, suppressing breathing. Mixing alcohol with opiates can harm your kidneys and liver. Mixing with MDMA can deaden the effects of MDMA, and cause your body to dehydrate faster. Mixing with cocaine increases the effects of cocaine, both positive and negative. Didanosine (ddl, Videx) can increase the risk of pancreatitis. If you take ddl, consider not drinking alcohol or drink modestly. Some folks experience needing less alcohol to feel its effects once they start taking HIV medications.